A sliver (rhymes with diver) is a long bundle of fibre that is generally used to spin yarn. A sliver is created by carding or combing the fibre, which is then drawn into long strips where the fibre is parallel. When sliver is drawn further and given a slight twist, it becomes roving. A roving is a long and narrow bundle of fibre. Rovings are produced during the process of making spun yarn from wool fleece, raw cotton, or other fibres. Their main use is as fibre prepared for spinning, but they may also be used for specialised kinds of knitting or other textile arts. After carding, the fibres lie roughly parallel in smooth bundles. These are drawn out, by hand or machine, and slightly twisted to form lengths suitable for spinning. These unspun strands of fibre are the rovings. Roving can also mean a roll of these strands, the strands in general or the process of creating them. 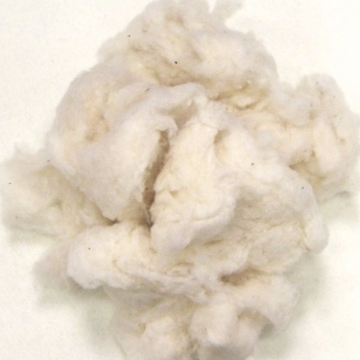 Because it is carded, the fibres are less parallel than top (which is combed) and are not of uniform length. 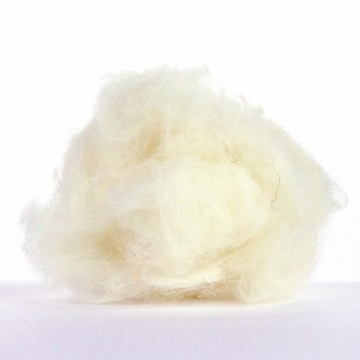 Carded rovings look fluffier than combed top, which looks smooth and has a high lustre. The fibres in combed top tend to be of a fairly uniform length due to the method of preparation. Though drawing it into strips may line the fibres up a bit. Roving is not to be confused with sliver as there is twist in roving. Pencil roving is a type of roving that has been drawn until it is the size of a fat pencil. It can be used by spinners with minimal drafting Knitters also use pencil roving.